Bain maps are also made at Atlantis. What are they? Well, the literal translation “map of the brain“ does not help very much, which is why we want to explain what a brain map is and how it is made. The slowest waves are the Delta waves, no more than 4 of which pass in a second. They are said to have a frequency of between 1 and 4 Hertz (Hertz, abbreviated to “Hz“, denotes the number of fluctuations – or waves – per second). Less slow are the Theta waves, with a frequency of between 4 and 8 Hz. Evan faster are the Alpha waves, which lie between 8 and 12 Hz. 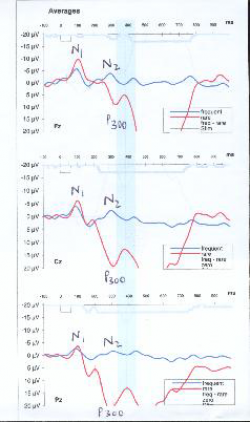 The fastest are the Beta waves, with a frequency of between 12 and 30 Hz. To be able to measure the voltages discharged by the brain, electrodes must be placed on the skull. As the number of electrodes can be large, at Atlantis we use 19. A cap is used into which the electrodes are integrated. This means that they are always in exactly the right place. A special gel ensures that there is good electrical contact with the scalp, and then measuring can start. 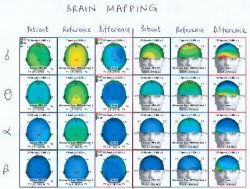 From the 19 electrodes 19 curves of the electrical activity of the brain are obtained, all of which are of course different to varying degrees, as they come from different points on the head. Neurologists need a lot of practice to be able to interpret this, for lay people, “confusion of curves“. At Atlantis these curves are analysed by computer, which sorts the waves – separately for each of the 19 discharges – initially according to the frequencies in the 4 ranges, to see how big the deflections of the curves, the voltages, are. Then, the voltages are converted into colours. Low voltages are marked in blue, higher voltages are marked in green or yellow, and high voltages are marked in red. Finally, this produces a 4-colour representation of the surface of the skull, one for each frequency range, with the area around the individual electrodes being shown in the calculated colours. The whole thing looks a bit like the temperature map used during weather reports. 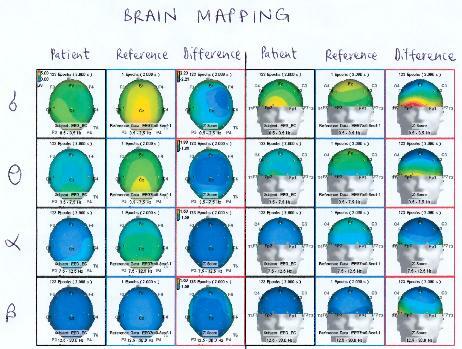 These are the brain maps and the investigation is called “brain mapping“, i.e. 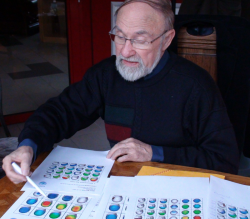 the creation of a map of the brain. As a rule, we these recordings are carried out twice, once with open eyes and once with closed eyes. 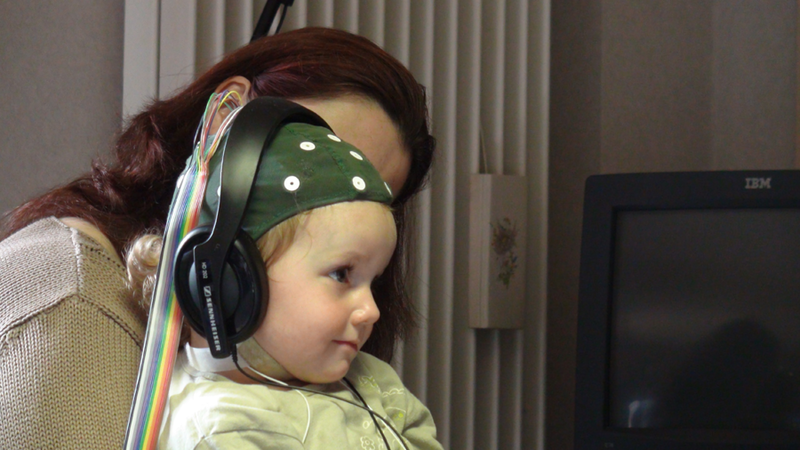 As the patient is already wearing the cap, this opportunity is taken to carry out other, very meaningful investigations, which are also based in the EEG, the ”evoked potentials“. 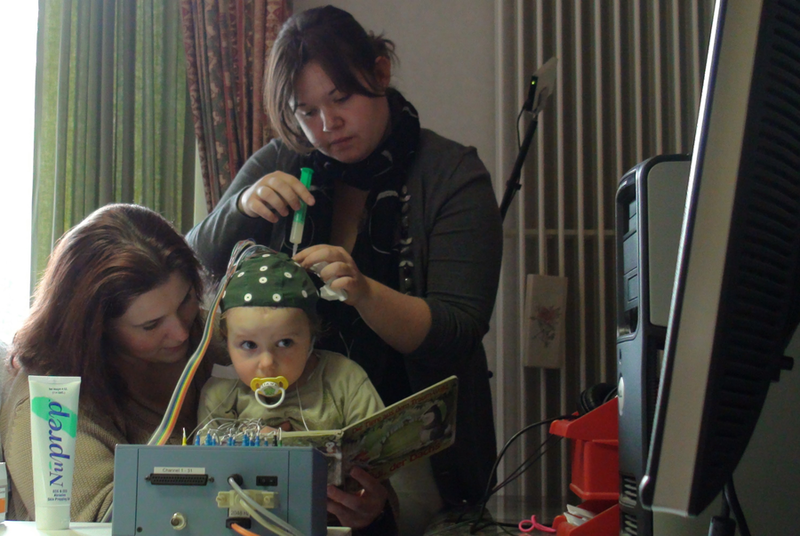 It is therefore possible to measure the brain’s electrical response to a certain stimulus. Whenever we hear a short sound, e.g. a “bip“ or a “tut“, this will doubtless lead to an electrical response in our brain. 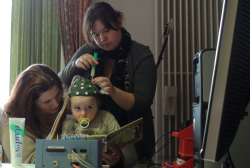 This response is of course contained in the “wobble curves“ of a normal EEG recording, but it cannot be detected as it is lost in the normal activity of the brain. You have to imagine the situation as a bit like being in a packed football stadium. Everybody calls out GOAL; only one person says NO. This NO is of course contained in the calls but it cannot be heard. In order to find the brain’s electrical response to a stimulus (which does not have to be a sound as it works just as well with a light signal, a tactile stimulus, etc. ; it simply has to be a perceptible stimulus, which is short and repeatable), the trick is not to record the response to an individual stimulus but to very many stimulae. The computer then calculates the mean value from the responses, whereby the “wobble“ of the normal EEG is averaged out into a straight line. What is left is the (averaged out) response of the brain to the stimulus. For this, one can easily measure the voltages and also the time of the reaction of the brain (the response curve typically exhibiting several mountains and valleys). 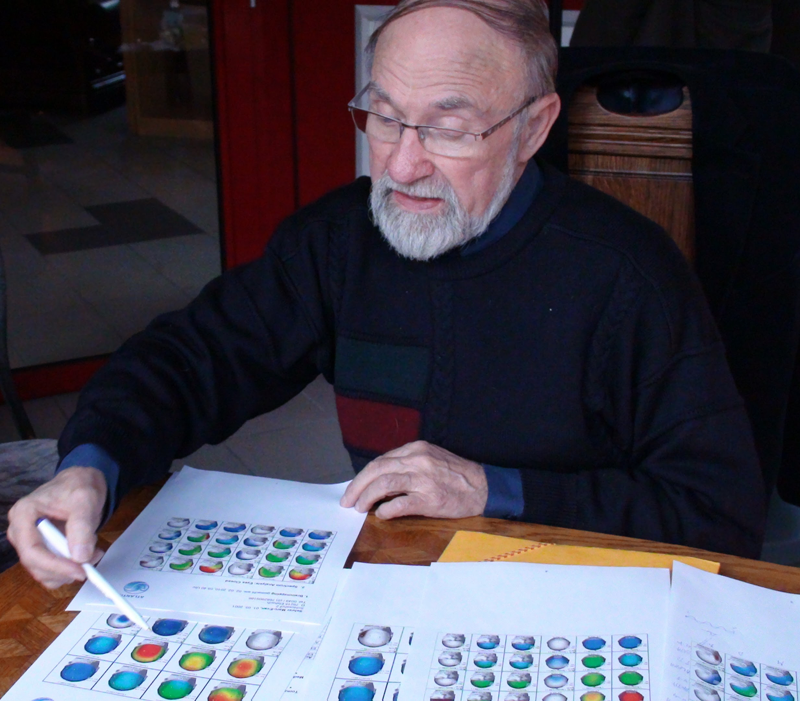 A further investigation of the evoked potential consists in not always offering the patient the same sound (stimulus) but two different sounds, and getting the patient to carefully pay attention to one of the two and, for example, to press a button. The incentives to which the patient is intended to react are fewer in number than the others and they are unevenly distributed. The computer now separately calculates the response curves for the frequent stimulae to which the patient does not have to react and for then for the infrequent stimulae, to which he or she is intended to (should) respond. This results in two different response curves, one for (simple) hearing and a second curve for conscious listening. The same holds for visual or other stimulae. In this case too, the voltage and the time of the response can be measured in both curves.